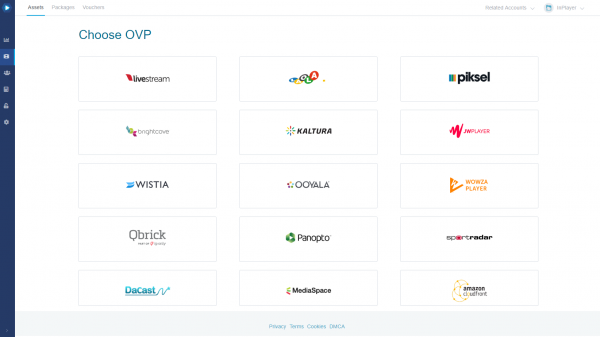 Our monetization platform features a fully developed integration with Kaltura MediaSpace. To use the Kaltura MediaSpace integration successfully, please make sure that you have already connected your InPlayer and Kaltura accounts. If you haven’t done this and are not sure on how to go about doing it, make sure to read our guide. First, go into your Kaltura MediaSpace admin panel. You can access the admin panel by going to your MediaSpace portal and typing /admin at the end of the URL. Next, from the left-hand menu, click on the Auth tab. 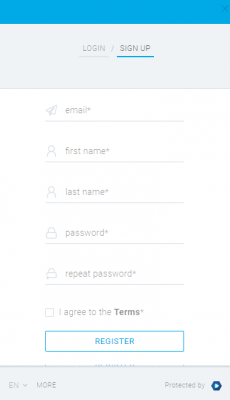 Scroll down to the enable MultiAuth option and set it to Yes. 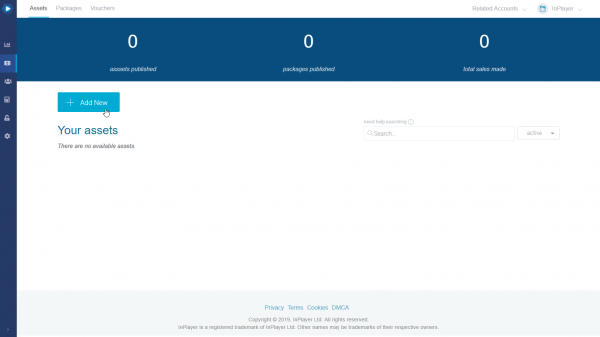 Then, scroll down to the authMethods section. 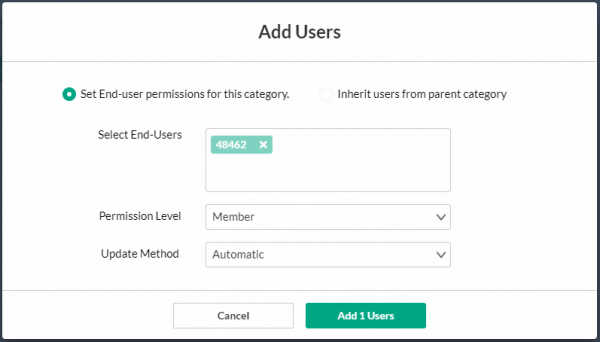 You will need to set up two authMethods. You can do that by clicking on . 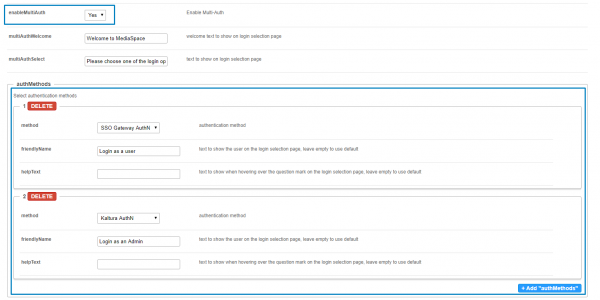 In the first authMethod, select SSO Gateway AuthN as the method and in the second, select Kaltura AuthN. What this does, is to set up an admin lock to your channels page, so that only users that can log in as Admins will be able to add content. Next, scroll down do the SSO section. The merchant-uuid can be found in the account details of your InPlayer dashboard. It is listed as Account UUID. 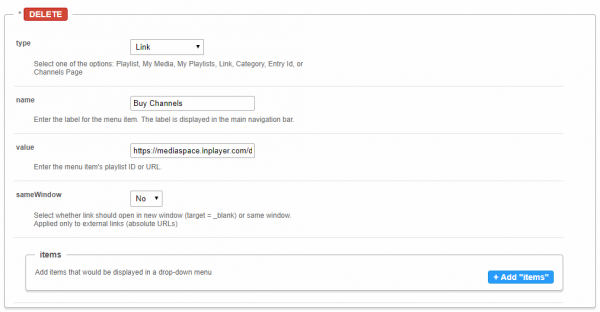 The domain-url should be the URL where your MediaSpace portal is hosted. Next, from the left-hand menu, go to the Ssogroupsync tab. Name the new privilege offerIds and leave the valueMappingType as Use privilege value as group name. Finally, click the button at the bottom. To make sure your customers have quick access to the page where all your assets are embedded, you can add a custom tab in your MediaSpace menu. To do this, go into your Kaltura MediaSpace admin panel. As we mentioned before, you can access the admin panel by going to your MediaSpace portal and typing /admin at the end of the URL. Go to the Navigation tab, scroll all the way down and click on . Remember to first edit the parts in bold with your InPlayer merchant UUID and your MediaSpace domain URL. 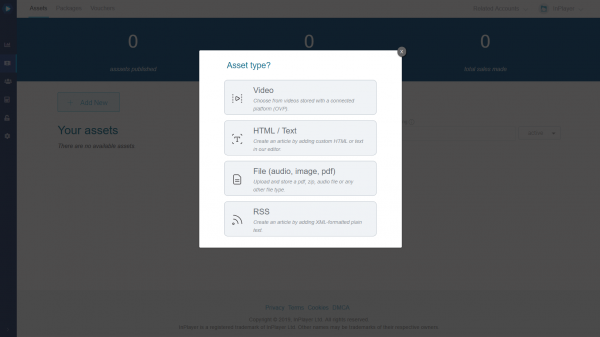 The final step is to protect your MediaSpace content by creating an asset. 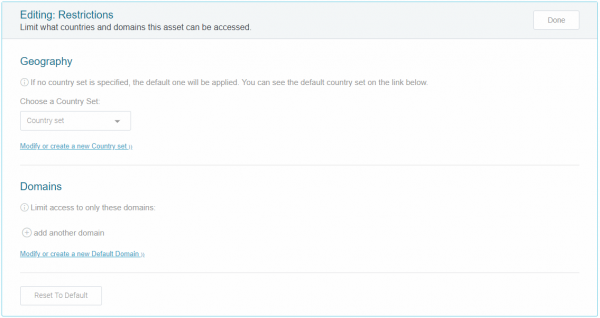 In the The Asset block, enter your MediaSpace domain URL, without the https:// or http:// part. Once you have your InPlayer asset, it is time to link it to a Kaltura Channel. First, make sure that your channel is set as Private. Here, you will see the InPlayer asset you have just created. Click on it, log in, and make a purchase. You can use a 100% discount code so you don’t have to actually pay anything, or you can contact us and we will make sure to refund the paid amount. Upon you making this first purchase, a Kaltura user group will be automatically created. Next, go to your Kaltura KMC dashboard. Go to the CATEGORIES tab and click the channel you wish to link to the InPlayer asset. On the left-hand menu, click Entitlements, scroll down to the bottom and click on Manage Users. Go back to the InPlayer Dashboard, go to the Assets tab, copy the Asset ID from the asset you wish to link to this channel and paste it in the Select End-Users filed. Press Enter on your keyboard and then click . Do the same steps for every individual channel you wish to monetize. Once there, they click on the asset they wish to purchase. The paywall appears, they click on and fill out the register form. 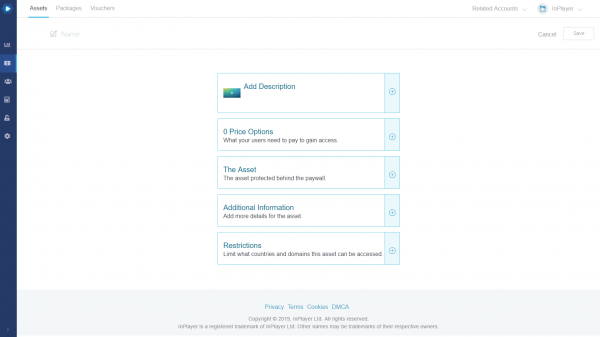 On the next screen, they select one of the available price options for that asset. 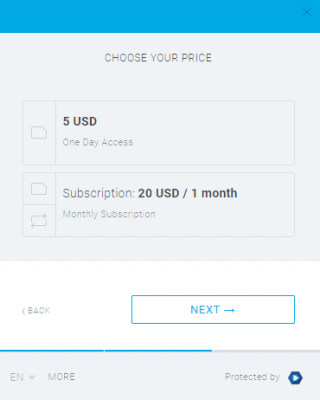 If there’s only one price option available, instead of the price selection screen, they are immediately forwarded to the final payment screen, where they enter their credit card or PayPal information. They finish the purchase by clicking . 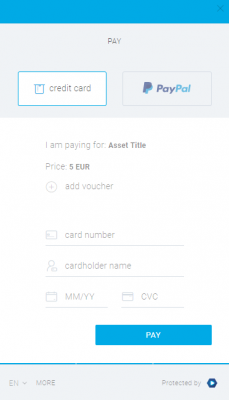 The following message appears, where the customer can choose to either purchase more channels, or go straight to their list of purchased channels. 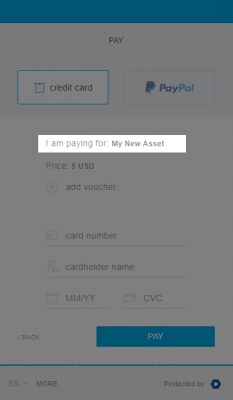 To log into an already purchased channel, a customer just needs to go to the tab where you’ve embedded your assets, click on the asset they purchased, and log in.After logging in, they will be forwarded to their list of purchased channels. Under SSO, delete the loginurl and logouturl links. Under Auth Adapters, set the authNAdapter and authZAdapter values to Kaltura AuthN. Delete the whole offerIds privilege. For more information about the ins and outs of Kaltura MediaSpace read Introduction to Authentication and Authorization Solutions 5.x.